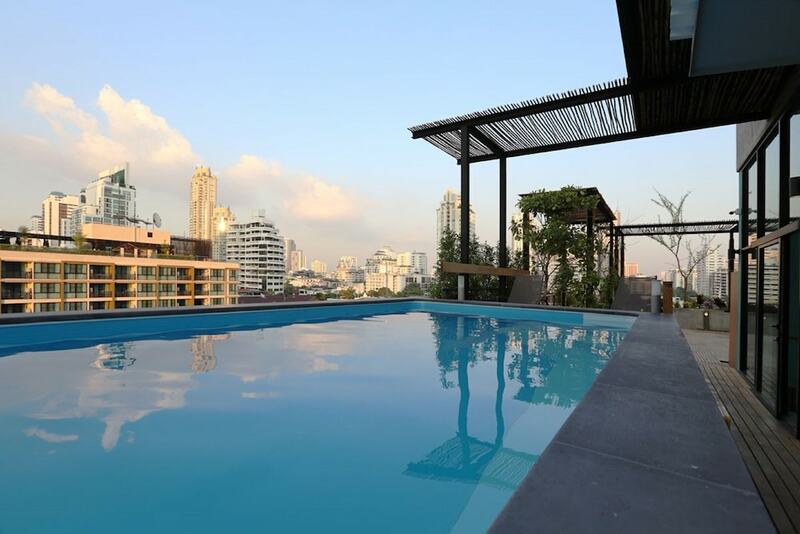 Located in Bangkok (Sukhumvit), Tints of Blue Hotel is within a 15-minute walk of Soi Cowboy and Terminal 21 Shopping Mall. This hotel is 0.7 mi (1.1 km) from Emporium and 0.7 mi (1.1 km) from EmQuartier. Make yourself at home in one of the 42 air-conditioned rooms featuring kitchens with refrigerators and stovetops. Rooms have private balconies. 40-inch flat-screen televisions with cable programming provide entertainment, while complimentary wireless Internet access keeps you connected. Conveniences include safes and desks, and housekeeping is provided on a limited basis. Take advantage of recreation opportunities including an outdoor pool and a fitness center. Getting to nearby attractions is a breeze with the complimentary area shuttle that operates within 700.00 meters.